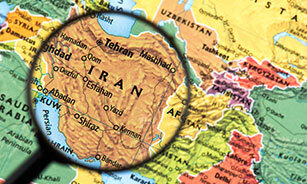 Are you interested in checking out business opportunities in Iran? How could the Former Norwegian Prime Minister help you? In the aftermath of the Trump Administration’s travel ban, there were many individual stories of heartbreak and missed opportunities. One that you may not have noticed is the experience of the Former Prime Minister of Norway when he arrived at the Washington International Airport. Despite not being from one of the banned countries and travelling on an official passport, he was not only questioned, but held in a waiting room for extra assessment – simply because he had a visa to Iran in his passport as a result of visiting the country two years ago to attend a peace conference. For Australian businesses interested in exploring the new opportunities in Iran as sanctions are gradually lifted, it is a sobering reminder that once having visited Iran you will lose access to the visa waiver to the US that most Australians enjoy. To visit the US you will need to apply for a visa and be interviewed for assessment. Remember that even if you are only transiting in the US for a flight to South America, you will need a US visa or visa waiver. This makes “a kicking the tyres” trip to Iran a high risk exercise if the US or the rest of the Americas is a significant market. You can either choose one person in the company to be allocated Iran and count them out for the US or just ignore the potential opportunity and focus on existing markets. Ai Group has worked on a third option. We have engaged an experienced expert in unstable markets who is able to identify official and unofficial key decision makers and channels to market. He will assess the market for about ten companies and provide a verbal and written report upon returning to Australia. Using this group servicing model keeps the costs down for individual businesses. This provides members with a road map in Iran for their Industry, without risking their visa-waiver status with the USA, or investing too much time or money upfront.